Initial mild shaking may strengthen and become extremely violent within seconds. Additional earthquakes, called aftershocks, may follow the initial earthquake. Most are smaller than the initial earthquake but larger magnitude aftershocks also occur. Earthquakes may cause household items to become dangerous projectiles; cause buildings to move off foundations or collapse, damage utilities, roads and structures such as bridges and dams, or cause fires and explosions. They may also trigger landslides, avalanches, and tsunamis. All 50 states and 5 U.S. territories are at some risk for earthquakes. The risk is higher in identified seismic zones including the San Andreas Fault in California, the Cascadia Subduction Zone in western Oregon and Washington and Alaska, the New Madrid Fault Zone spanning areas in Missouri, Arkansas, Tennessee, and Kentucky, and areas on the east coast including the mid-Atlantic, coastal South Carolina and New England..
1. 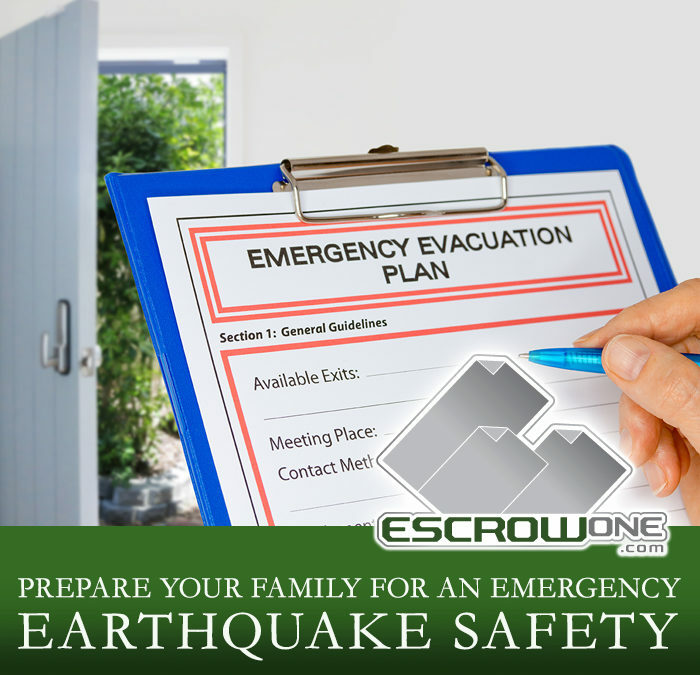 Before an earthquake occurs, secure items that could fall or move and cause injuries or damage (e.g., bookshelves, mirrors, light fixtures, televisions, computers, hot water heaters. Move beds away from windows and secure any hanging items over beds, couches, cribs or other places people sit or lie. 3. Store critical supplies (e.g., water, medication) and documents.